HCS offers many travel award to participate in the Experimental Biology meeting. To apply for the these travel awards, you must submit an abstract first. Please utilize the EB2019 abstract submission system. On the first screen where you enter the first author's membership, indicate you are a member of ASIP, this will allow you to see the HCS award option in later screens. Membership in HCS is encouraged but not required for these travel awards. Travel award application period for 2019 is now closed. Notifications will be made in early 2019. Activity: Invited scientific or policy presentation to a recognized scientific meeting or science policy event. Award: Reimbursement up to $5,000 per speaker. Target: Experienced scientist or subject matter expert. Award must be approved by the Executive Council of the Society. Reimbursement after event requires completion and submission of the Histochemical Society Disbursement Request form to the Executive Director of the Society. A slide or handout must be presented to acknowledge the contribution or sponsorship by the Histochemical Society and the Journal of Histochemistry and Cytochemistry. Awardee must be a member of the Histochemical Society. Activity: Sponsored lecture at a scientific workshop, course, or event. Award: Up to $3,000 per speaker. Target: Experienced subject matter expert. Activity: Attend a Society sanctioned workshop, course, or event. Target: Junior Faculty, Staff Scientist, Post-Doctorate Fellow (or equivalent), graduate student, or advanced undergraduate student. Award must be approved by the Awards Committee of the Society. Awardee is encouraged to report their experiences through social media (e.g., Facebook, Twitter, etc. ), blog, or a short article to appear on the Society webpage and/or newsletter. 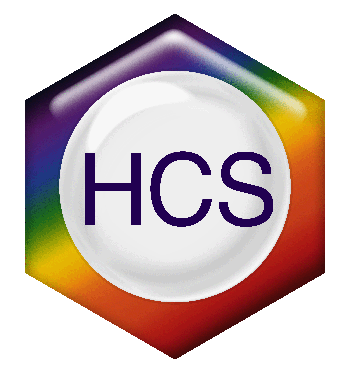 If you have any questions about the HCS-TA-IHC awards or would like to apply click below.